Consumers and designers alike look to giants of any industry for inspiration. Often times, the inspiration has to do with the specific product the company develops. In the tech world, there a quite a few giants that inspire us everyday with their new and groundbreaking gadgets. However, you can draw inspiration from these tech giants in the way you organize your bedroom. Here are six rooms comparemymove.com created inspired by the top tech giants. 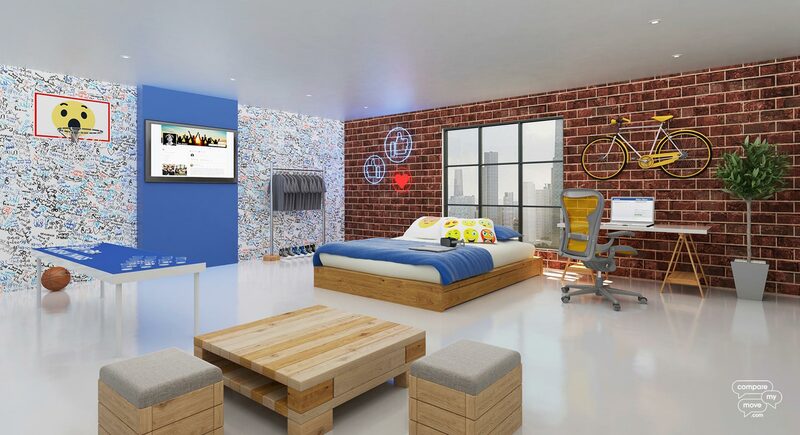 This Facebook inspired room looks like the ideal college dorm. It has hints of the Facebook theme colors, but they’re not overwhelming. On the wall in the back, it looks like the owner has had guests write on it, just like you would do on someone’s Facebook wall online. Perhaps the most well known name in the tech world, Google, also has a room designed around their iconic colors. Google is very well known for being a high tech and fun place to work. 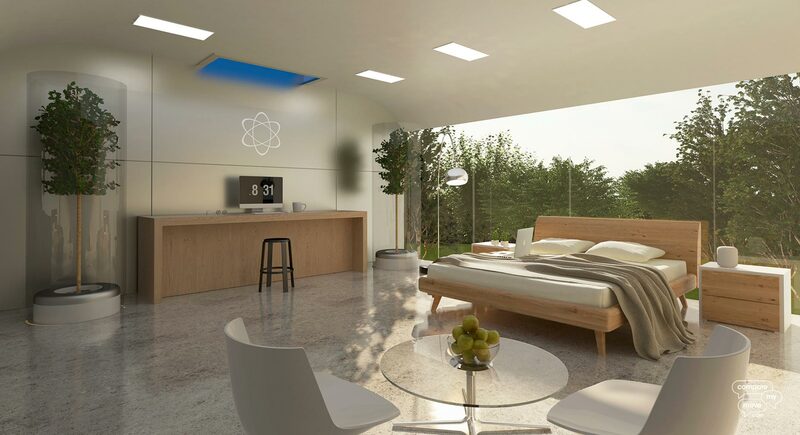 Those elements are very much present with the bike, slide sticking out of the wall, fussball table, giant TV display, and futuristic bed. 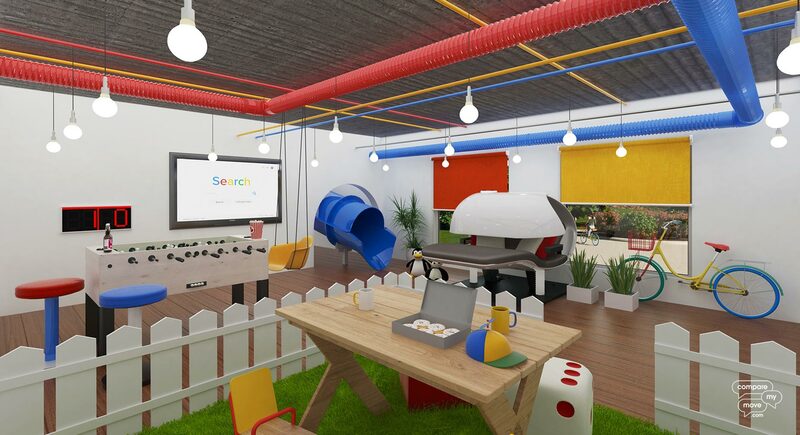 This can be easily confused with what Google’s actual headquarters might look like, because it’s so accurate. Netflix was created so that anyone can view their favorite movies from home. This room is focused on enjoying movies in the most comfortable way possible. There are plenty of places to relax and take a load off, and in the corner, you have a nicely stocked refrigerator for all your refreshment needs. This room is a Netflix user’s dream. Apple has been a leader in the tech world for several years now. They are very well known for their sleek and modern design as well as their functionality. Take a look at the room pictured. It’s modern, clean, and organized. It incorporates nature with the trees and fruits, but gives off a very “ahead-of-its-time” feel. 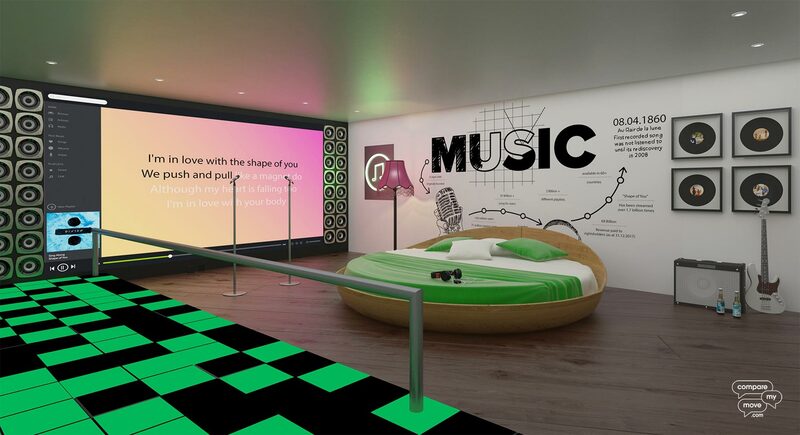 The Spotify room, just like the actual app, is based on the enjoyment of music. There are all sorts of ways to express your love for music thrown all about. You have the dance floor, the karaoke wall, the guitar, and plenty of speakers to blast your music loud. The Snapchat app hasn’t been a giant for as long as some of the others, but it has made waves in the tech industry. 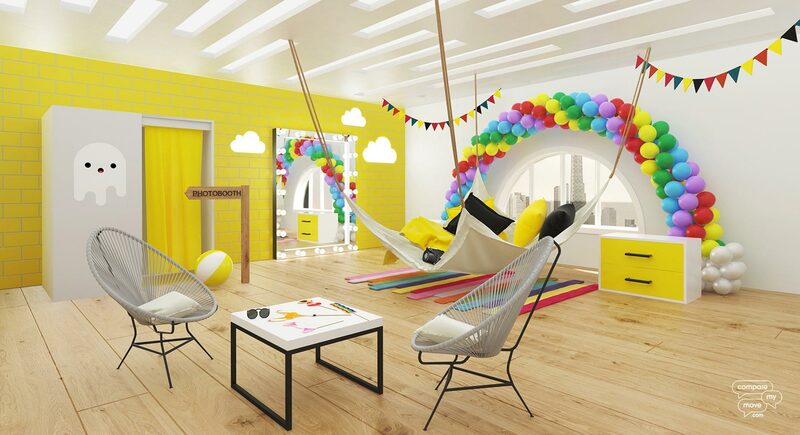 This room uses Snapchat’s signature bright yellow and colorful details to show off some of the features in the room. You can see that on the table are a few of the iconic Snapchat filters portrayed as cut-outs on sticks. That same theme seems to be present throughout the entire flow of the room. These rooms hit the nail right on the head. My personal favorite is the Netflix room. 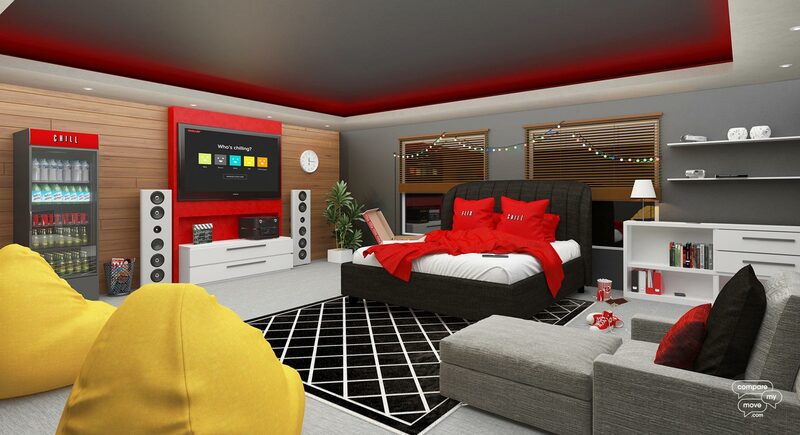 There are so many tech giants out there that would inspire amazing rooms for everyone to enjoy. Which one was your favorite? Is there a tech company that you would like to see inspire a room?